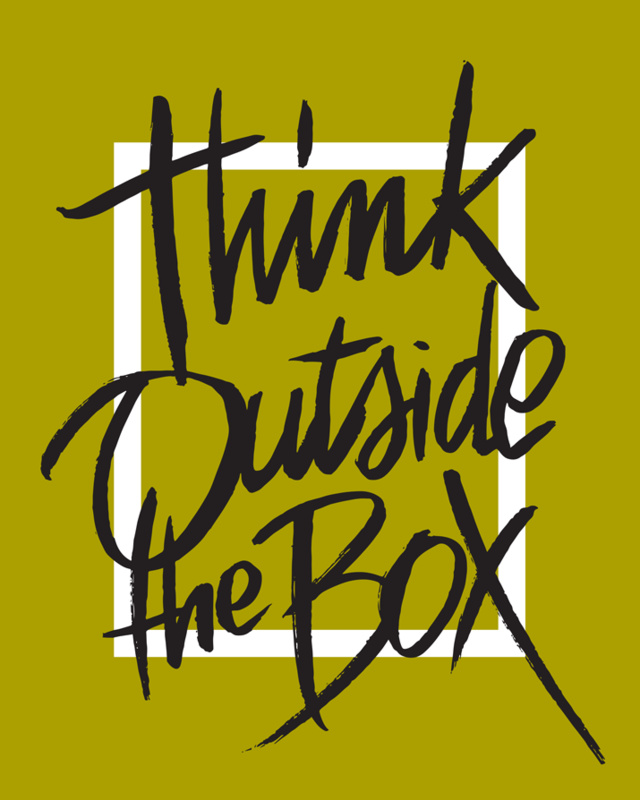 'Think Outside the Box' – those very words used to send me into a blind rage. An old boss used to use this term all the time, thinking that the very phrase would inspire creativity and magic inside me. He also used ambiguous phrases like "make it crisper", like I was cooking french fries instead of designing a logo. Tools:COPIC Multiliner Brush Pen on bond paper, scanned then Image Traced (Sketched Art) in Illustrator CS6. Traced art dropped into Photoshop for final composition.